Fasting is a shield for a person which protects them from Shaytan, Allah’s punishment and Jahannam. However, one needs to make sure the shield is not damaged in any way. Otherwise it will not be effective in doing its job. The actions that damage this shield and render it useless are sins like Backbiting, Lying, Evil Glance, Swearing, Nonsensical Conversation, Arguments, Slander, Haram Sustenance, and every other evil. Shaykh Hassan Ali suggests four things we can do on Laylatul Qadr which will make you amongst the richest people in the hereafter. Fulfil one’s I’tikaaf in such a Masjid wherein the five daily Salaah is offered. A Masjid in terms of the Shariah. By means of this act Allah Ta’ala has granted us solitude while in a gathering. What more can be said! Two Haj and two Umrah, by means of a single days I’tikaaf, how far is one removed from Jahannum? A distance of five hundred years. Brothers! What we all desire and need is to be distanced from Jahannum and closeness to paradise. Another amazing point is the fact that one who is waiting for Salaah is granted the rewards of being in Salaah. It is as if the person forming the intention for I’tikaaf has begun Salaah on the eve of the twentieth of Ramadaan and remains engaged in this Salaah for a full ten days and nights, till the sighting of the crescent for Eid after which he turns for Salaam and completes his Salaah. While fast asleep, he is in Salaah! While wide a wake, he is in Salaah! While eating, he is in Salaah! While drinking, he is in Salaah! At every instant during his stay in the Masjid he is in Salaah. At times this is actually so while at other times he is allegorically so. We beseech Allah Ta’ala to grant us the abundant Taufeeq for these actions to be performed during Ramadaan and that He make them easy for us and assist us therein. O Allah! We are weak and helpless. We are assailed by different forms of illnesses. O Allah! Provide us with Your assistance from the unseen whereby we can imbibe all these aspects within us. Let us engage in the abundant recitation of the Quraan as in the case of Hazrat Raipuri who gave up all his correspondence as well as meeting people and was either occupied in fasting or recitation of the Quraan. This cycle continued over and over every day of the entire month. We beseech Allah Ta’ala to grant such devotion to us as well, along with I’tikaaf during the last ten days. O Allah! Grant abundant Taufeeq to us as well as to our children and the other members of our household. O Allah! 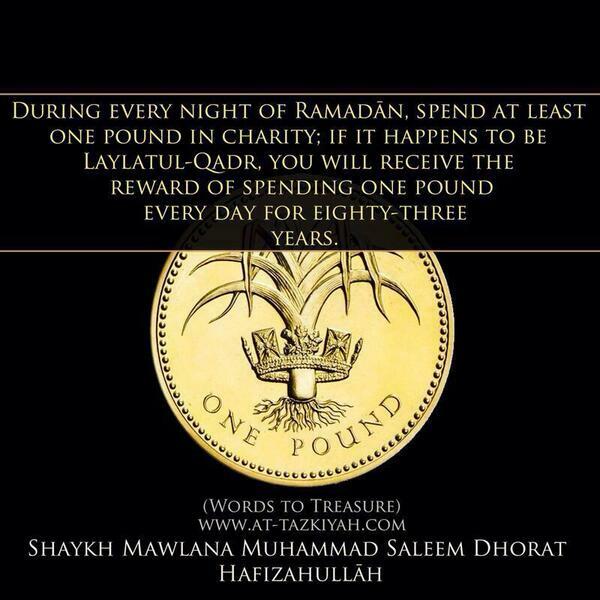 Grant us the Taufeeq to spend Ramadaan in keeping with the Sunnah as discussed. 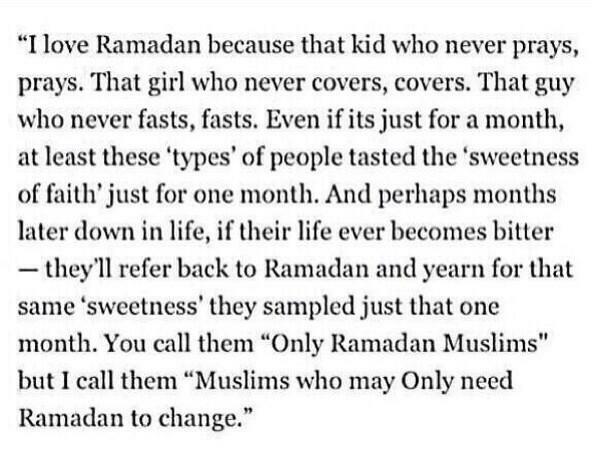 Grant us the Taufeeq to spend Ramadaan in the shadows of Your accepted servants, Ameen. The month of Ramadhan enjoys and intrinsic superiority over all the other months of the year. Likewise, it’s last ‘Ashra or ten days are superior to the two earlier ‘Ashras, and laylatul Qadr or the Night of Power, generally, falls in it. That is why, the sacred Prophet (peace & blessings upon him) devoted himself more intensively to prayer and other forms of worship during it and urged others, also, to do the same.